On Sunday Oct 9th, a New York Times editorial focusing on the neglected topics in this year’s presidential election race addressed the issue of surveillance. 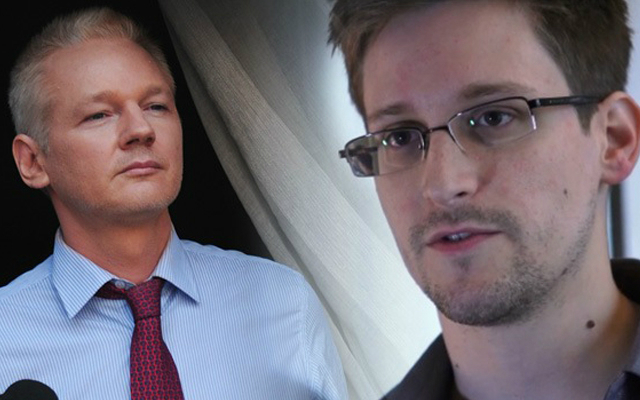 Condemning both Donald Trump and Hillary Clinton for lacking specifics in their policy proposals concerning privacy and security, the Times reinforced the importance of the communiques released by whistle-blower Edward Snowden three years earlier. Those revelations “prompted important reforms” said the editorial but the imbalance between public protections and the infringement of rights, remained. Earlier in the week, it came to light that another NSA contractor, Harold Martin also employed by Booz Allen Hamilton, the firm Snowden had worked for too, had been arrested in August for stealing and then hoarding classified information in his Maryland home. In the same month, hackers had precipitated reports of another breach in NSA security which prompted newspaper headlines coining the phrase a “second Snowden”. All this came on top of the Panama Paper revelations in April that disclosed some of the financial and business dealings of the world’s most famous and influential people. Anyone still in doubt that Snowden, the progenitor of these stories now flowing out of the political establishment hadn’t captured the zeitgeist of the contemporary age can now take further stock from Oliver Stone’s account of the Snowden story, which premiered this week in the UK at the London Film Festival. Apt that in 2016 Stone should return to the kind of subject matter his filmmaking has been renowned for these past thirty years, Snowden is nothing less than an exhaustive reimagining of the issues and personal conflicts that led to the former NSA contractor’s defection in 2013. At the film’s core lies the ongoing destruction of basic constitutional rights. 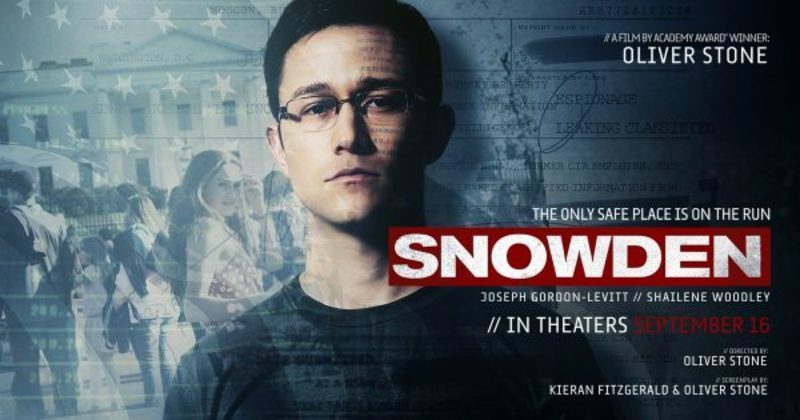 As played by Joseph Gordon-Levitt, Snowden moves from patriotic servant to reactionary protestor. His enlistment in the army in 2004, his employment as an analyst at the NSA and his run from the authorities in Hawaii in 2013 that eventually sees him land in Hong Kong, reflect a decade-long immersion into the security fabric that is then systematically unwoven by Stone. And rather than ignore the film already done on Snowden, the director reminds his audience of the self-same scenario used by Laura Poitras in her award-winning documentary from 2014, Citizenfour. Stone’s tactic of adopting the dramatic hotel scenes in that documentary between filmmaker Poitras and journalists Glenn Greenwald and Ewan MacAskill (here played by Melissa Leo, Zachary Quinto and Tom Wilkinson respectively) who broke Snowden’s story in The Guardian, locks in each career phase of Snowden’s life as he reflects on a journey that has ended up in self-confinement at Hong Kong’s Mira Hotel. Having his politics sorely tested, Snowden’s dawning realisation of government inscrutability is aided by a backstory that portrays his burgeoning relationship with liberal activist Lindsay Mills (Shailene Woodley), tutelage at the CIA under the shadowy Corbin O’Brian (Rhys Ifans), and shock as co-worker Gabriel Sol (Ben Schnetzner) shows Snowden the far-reaching, and illegal, extent of the CIA/NSA’s bulk data collection programmes in 2007. Stone’s whistleblowing tale thus opens up Snowden’s ideological journey far more broadly than Citizenfour’s remit ever allowed for, and he has no shortage of messages to convey about the current political shenanigans in the US and UK too. Together with 2016’s surveillance story exclusives, the cacophonous presidential election, Brexit, a litany of terrorist atrocities around Europe, and a year-long cycle of repeated racial violence across American cities all have echoes of Snowden’s challenge towards institutional power and state authority. There are a multitude of inter-related topics within these issues and they’re the ones set out in our new book, The Cinema of Oliver Stone. We examine key themes like politics, war, love and corporations that have dominated Stone’s filmmaking and which are the touchstone subjects at the heart of Snowden. They are intrinsic to the personal lives of Snowden and his girlfriend as they battle to hold their relationship together through the film. They also dominate the thoughts of authority figures like O’Brian and a CIA analyst in Geneva in one section of the film, played by Timothy Olyphant, who Snowden befriends but is then coerced into helping blackmail a Middle-Eastern banker for. 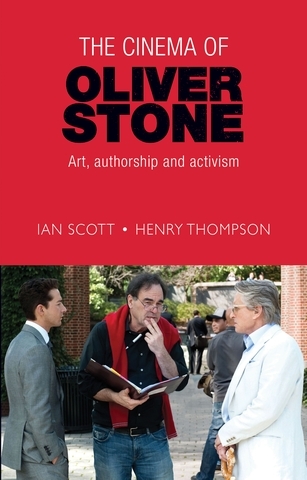 Here in the US, some critics have been lukewarm about Stone’s stridency on the subject. The New York Times recently commented that the film, like Snowden himself, wanted to bother its audience and fill them with doubt that all being represented in their name was wrought with chaos and contradiction. But it also perceived a director who seemed less indignant than he once was. Other US reviewers have simply found the film less angry, less kinetically dynamic than Stone’s halcyon period movies like JFK and Nixon. But even if this is aesthetically true, there can also be no doubt that politically what the director aims to carefully plot out in Snowden is institutional largesse gone rogue in the decade and a half since 9/11. Stone is not lacking polemics per se then so much as he is storing up the recognizable fall-out with which to dazzle audiences at the end. The denouement to Snowden feels like someone has pushed the accelerator on a getaway car as it propels us at a rate of knots towards the man himself, unveiled at a Q&A in London chaired by former Guardian editor Alan Rusbridger which features Stone in the audience. Gordon-Levitt is thus transposed out of the film at this point and replaced by the protagonist made real, just as Stone moved Anthony Hopkins offstage at the end of Nixon to be replaced by the arch political proponent himself. The truth is Stone didn’t come late to Snowden and the issues of surveillance at all, even if Citizenfour stole some of the thunder. The director’s longstanding grievances and public pronouncements on the subject stretch back to soon after September 11th and long before Snowden, and Thomas Drake, Chelsea Manning or Julian Assange were ever known. His knowledge and deft handling of the litany of information about government surveillance is thus well to the fore in Snowden and penetratingly astute. When Greenwald in one scene shouts at a deliberately vacillating Janine Gibson (Joely Richardson) at The Guardian offices in New York to stop kowtowing to a government that was trying to decimate their first amendment rights and publish the lead story, you feel Stone’s cause. And it is for these reasons that Snowden the man and Oliver Stone the director remain immensely relevant in these times. In Gordon-Levitt’s excellent portrayal one doesn’t have to look far to see previous Stone sorties into this sort of character territory. There are touches of Jim Garrison in him – Kevin Costner’s character in JFK – and perhaps even more of Charlie Sheen’s Bud Fox from another Stone hit, Wall Street. All three are men discovering their inner principles and fighting injustice within themselves as much as they’re fighting the establishment lined up against them. They’re fighting Oliver Stone’s corner too, wanting to be remembered for something that has meaning, like the director himself. Snowden may not have Stone’s fabled cinematic pyrotechnics but he’s found deeper meaning in a character that battles for justice as well as any in his filmmaking career. Ian Scott and Henry Thompson. Scott and Thompson’s new book, The Cinema of Oliver Stone is available now. Ian Scott is Distinguished Visiting Professor in Film and Culture at Central Washington University in the US and Senior Lecturer at Manchester University. Henry Thompson is a Teaching Fellow at Manchester University. Category: Film & Media, Politics	0 Comments.